Will Buick Envision ever land in U.S. showrooms? 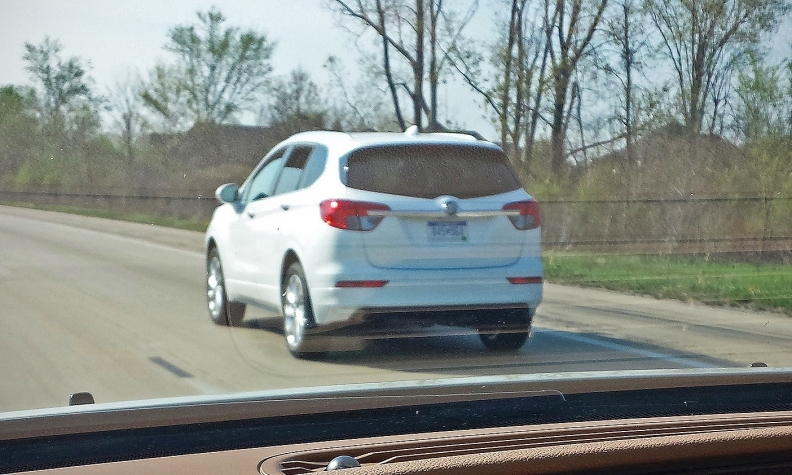 A Buick Envision on the roads in Michigan. When no one was looking, Buick's China lineup grew in numbers and more varied than in its home country. The brand has not experienced a visible slowdown in sales or popularity in The Middle Kingdom since its reintroduction there in the late 1990s. Buick's popularity in China has greatly benefited GM while baffling other automakers like Volkswagen, which have been in China since the early 1980s. The brand even enjoys greater popularity than stablemate Cadillac which has found only limited success. 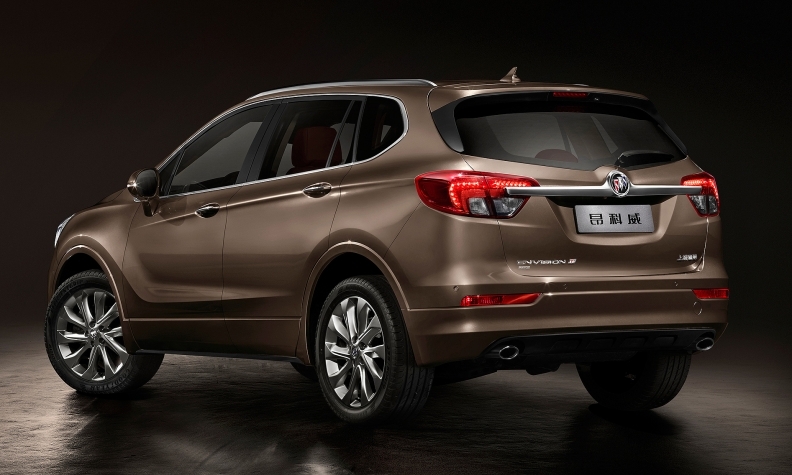 Buick's latest addition to its lineup in China is the Envision, a midsize crossover positioned just above the Encore. An Autoweek reader, Thomas Mitchell, recently spotted one on a freeway in Detroit, and was kind enough to share the photo. Could this point to a possibility that the Envision will be the first Chinese-made Buick to be offered in the States? So far, Buick plans to introduce the Envision in Europe badged as an Opel and a Vauxhall, as well as a Holden in Australia, and has floated the possibility of bringing the new crossover to the U.S. in 2016. The surprise success of the Encore in the States has made the company take a closer look at its lineup in this segment, and a crossover positioned between the Encore and the Enclave may be just what North American buyers could use. The two-row Envision crossover is powered by a turbocharged, direct-injected 2.0-liter four-cylinder connected to a six-speed automatic making 260 hp and 247 pounds-feet of torque. In terms of length it's at the halfway point between the Encore and the Enclave. The Envision sits on GM's Delta platform, and the interior impressed the media when the Envision was revealed at the Chengdu Motor Show back in 2014 September. The vehicle is clearly meant for multiple markets. Even though it'll be Volvo who will sell the first Chinese-made car in the U.S. in the form of the S60 Inscription, known as the S60L back in China, GM's ever-expanding efforts in China are unlikely to stay there. The Envision may well be the first Chinese-built Buick to be sold in the U.S. This isn't the first time the Envision has been spotted in the States -- a few months ago an Envision wearing some half-heartedly applied camo and tape was spotted driving around Ann Arbor. Jay Ramey is an associate editor with Autoweek, a sibling publication of Automotive News.